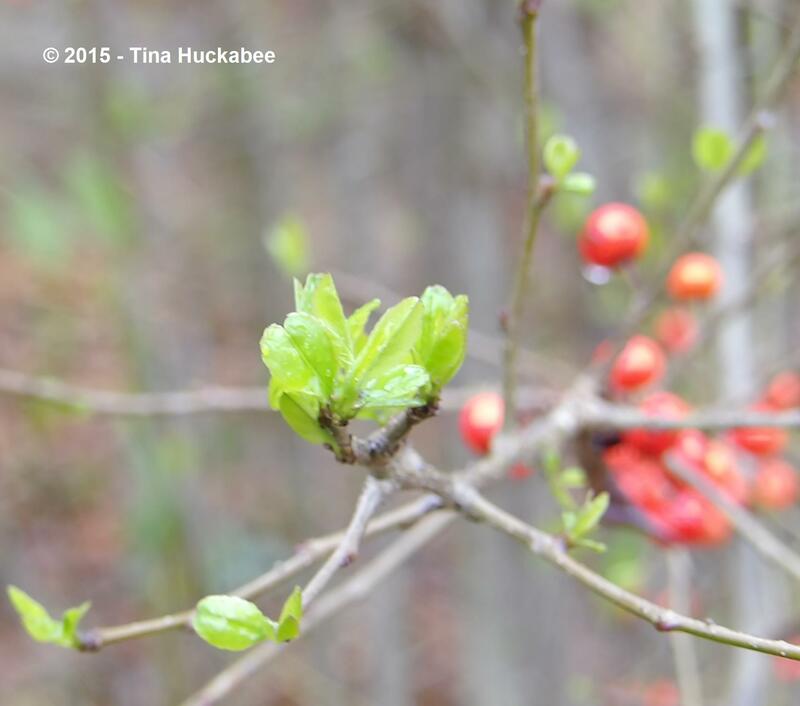 In my Possumhaw Holly Seasonal Look post of Friday, February 13, I mentioned that if the berries aren’t gobbled up by birds during winter, the new spring leaves sprout in tandem with the ripe berries and sometimes, with last season’s “adult” leaves. 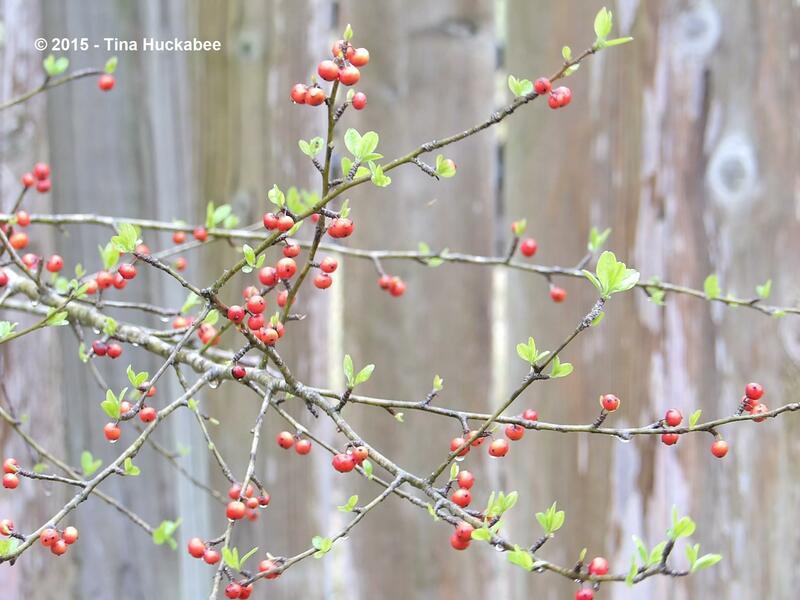 Well, spring sprung this past weekend for my Possumhaw and here’s a look at those new leaves and their berry companions–or maybe, it’s the other way ’round. I’ve seen plenty of Cedar Waxwings flitting about, preening themselves in trees and there are always Blue Jays and Mockingbirds in my gardens, so I’m not quite sure why there hasn’t been more of a run, or swoop, on the berries. I’m confident though, that the luscious fruits will be consumed in the next few weeks and the Possumhaw can begin its next year of life and production. 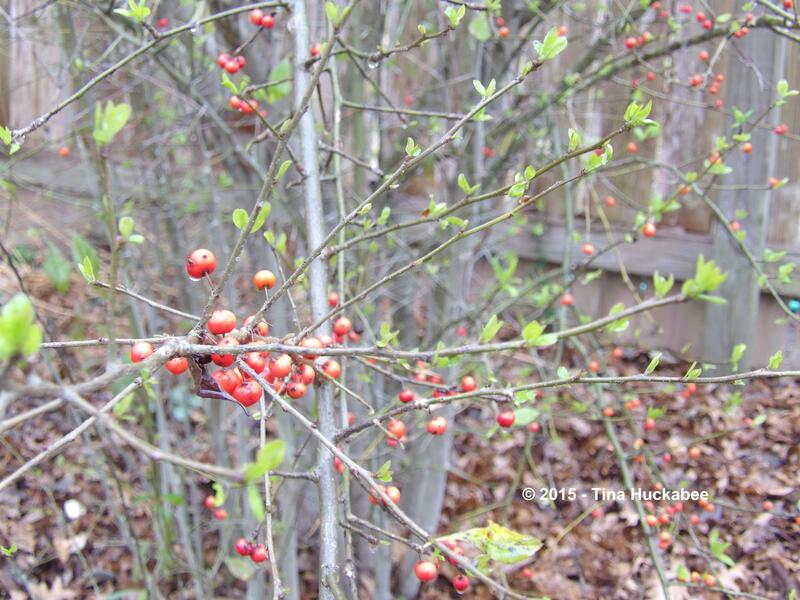 This entry was posted in A Seasonal Look, Ilex decidua, Uncategorized and tagged Texas Native Plants, Wildlife, Wildlife Gardening by Tina. Bookmark the permalink. New leaves are always a welcome sight. I love their gentle green. New leaves=beautiful green. The most beautiful. I’m with Debra – that baby green on those leaves! They look like they are fragile, made of glass. There was rain this morning, so those new leaves glistened. I don’t know how I didn’t see the emergence of the leaves this weekend, except that the bees kept (are keeping) me busy. I love the look of this bush…nice to see signs of spring…I will really love seeing the waxwings return in about 2 months hopefully. They’ve been around–flitting and landing high in trees. I often hear them, that high-pitched keening sound they make. I wish a couple of them would land, or at least, land closer to me so that I could get some good photos. Maybe they’ll to that for you when they migrate your way. I’ve noticed that with berries sometimes, too–that they stay on the shrubs and trees even into winter, and I wonder why the birds don’t eat them. I suppose they have their favorites, and in a good year they have quite the smorgasbourd of choices. Lovely shrub! I agree that when there’s bounty, the berries stay on longer–I guess they just have more to choose from, so they do! It is a lovely plant, I’m so glad I have one in my garden. Just hang in there. Wishing you warmth. The fresh green leaves look lovely with the berries. Spring seems to be springing here too. Touch wood. Aren’t they pretty, though? It’s cold here today, but not freezing. I’m hoping for a chilly next few weeks, but without a freeze. Touch wood, indeed. 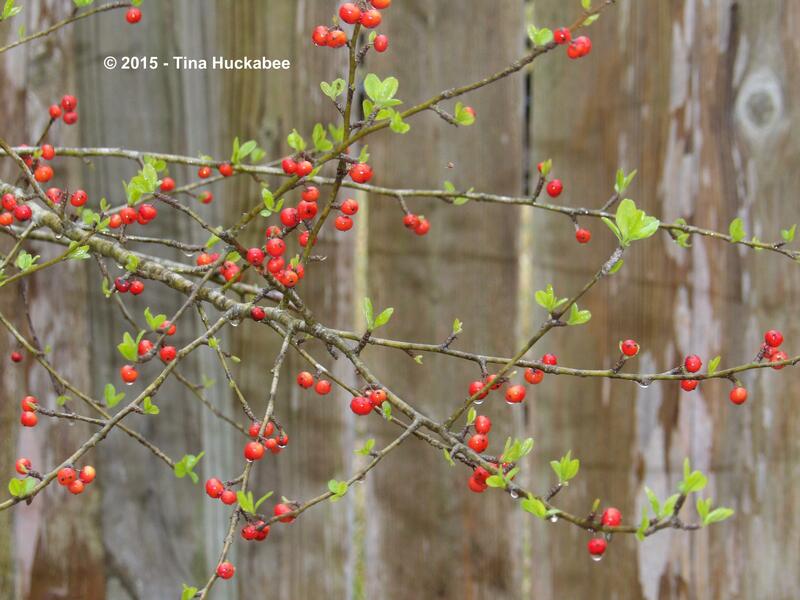 Possumhaw is one of my favorite native trees/shrubs. Those bare branches sparkling with berries in late winter lift the spirit. It’s a winner and I agree that it’s bright a cheery, always a good thing in winter.